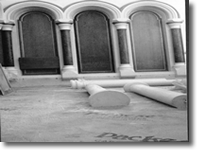 A family business specializing in the manufacture, supply and installation of the finest quality architectural plaster mouldings. All our plaster products are hand made in our workshop by skilled craftsmen combining traditional methods with the latest technology. We can match and renovate any existing plaster and stone mouldings or produce new designs in fibrous plaster to the customer's specification. Special commissions and general mould work by our modellers are also undertaken. We can repair and restore original historic plaster and stone mouldings to there former glory. Specialist paint removal and repairs to original mouldings carried out by our skilled craftsman. 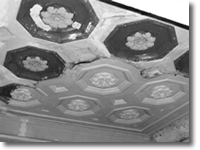 We can restore and secure Historic plaster moulding ceilings to Stately homes, hotels & theatres. 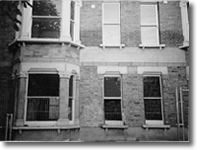 Rendering to ashlar marking window architraves, cornices, pier caps and columns ect, we cover all aspects of exterior mouldings in either sand and cement or reconstituted stone. We provide a full interior and exterior plastering service from traditional lime and horse hair to the modern day plastering. Full decorating service also available. 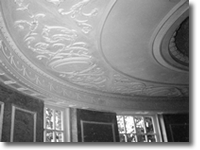 Specialising in design, manufacture, supply and installation of the finest quality architectural plaster mouldings, Traditional Plasterworks are a highly reputable company. 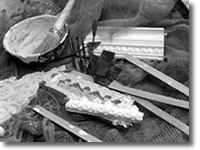 We have built up a range of distinguished plaster moulding products to meet the high expectations of our clients. 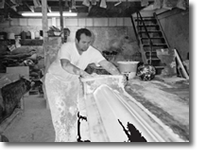 We hand craft all of our plaster products at our own premises. Our skilled craftsmen are notably experienced in fine design, and work with the distinction to which our company bases its culture on. 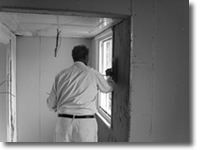 We combine traditional plaster work construction methods using highly advanced technology. This ensures our products surpass even the most demanding client and their tastes. If our clients are seeking superior interior design for a modern building we have the flexibility to offer just what our clients need. Should our customer desire an accurate representation of existing moulded plaster or stone pieces, within an architect inspired building, we can find the best solution to complete an accurate and exquisite piece, or pieces. We work to arrive at exactly the finished product specification, with a surprisingly affordable pricing structure. And we pay impressively close attention to detail. Traditional Plasterworks realise that our clients demand speed and reliability. Our team design and utilise best solutions to achieve the most stunning result and offer a trustworthy service teamed with prompt completion. We have built our company to excel at every project we undertake. We ensure that we offer the finest products, an incomparable range of services and unrivalled supply and installation with on-site support. Other Essex Businesses that we work with.